Collecting client information is about to become a lot simpler! 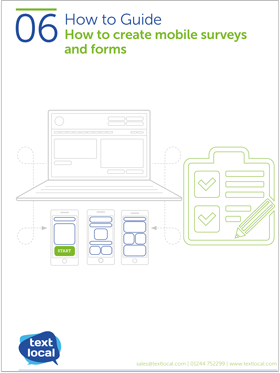 What are mobile surveys and forms? A mobile form is a page that can be accessed on a mobile phone, rendering the appropriate size so it can be easily filled in. 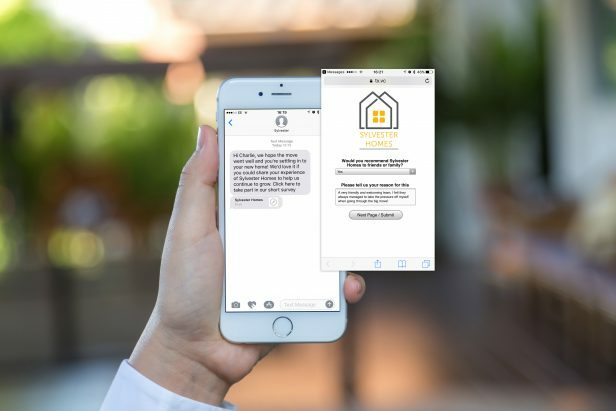 It’s sent to the recipient via a link in a text message, so there are two benefits; the unbeatable delivery rates of SMS and the simplicity of completing a form on a mobile device. This is a simple and effective way for you to reach customers, and it’s often much quicker for a busy customer to send a quick text than to make call. With the survey tool, you can add your own logos, add in personalised customer information, and tailor your questions as much as you like, to give your customers a first class experience. We’ve put together this simple guide to take you through the survey tool, step by step. 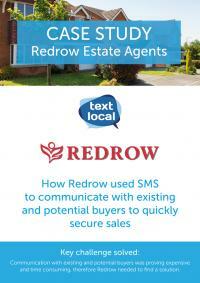 We have used Textlocal for over five years. The ability to provide our tenants with a single point of reference to contact us has proven invaluable to our business. The text service prevents the cost and time of unnecessary letters and car journeys. Those savings mean that Textlocal pays for itself! Temp2Perm Housing – Excellent service for our small business!